In April 2011, the representatives of European Polytechnic University, the youngest university in Bulgaria visited NTUU KPI. European Polytechnic University was created last year by the decision of the People’s Assembly of Bulgaria. Rector of NTUU KPI Prof. M. Zgurovsky, the Head of International Relations Department B.Tsyganok, and Rector’s Assistant B. Duda welcomed Bulgarian guests. The President of European Polytechnic University Mr. T. Krastev and Rector of EPU Prof. H. Hristov told about specialists’ training, the innovation technologies used in educational process, and possible fields of cooperation. Rectors of NTUU KPI and EPU have signed the Memorandum on Cooperation between two universities. 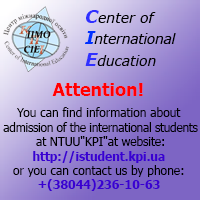 NTUU KPI is the first Ukrainian university that proposed a wide range of cooperation to EPU.